If you’re looking for professional, reliable and fast XBOX repairs in Lincoln or even Lincolnshire, Computer Clinik are here to help. With a vast range of high quality equipment and skills, we have the ability to deal with almost every issue relating to repairs upgrades and maintenance of XBOX consoles. Even other repair companies use our services for many of their repairs. 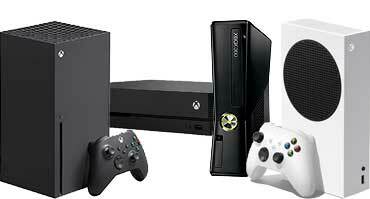 Take a look below at some examples of repairs we offer for XBOX consoles. If your XBOX has stopped reading discs it will usually start showing OPEN TRAY on the screen, don't worry. We see this issue a lot and is certainly repairable by calibrating the laser or replacing the laser. A calibration comes with a 3 month warranty and a new laser comes with a 1 year warranty. 1 or 3 red lights? One of the most common faults on the XBOX 360 is the Red Light fault. On the older XBOX 360 Arcade, Premium or Elite this shows as 3 red lights on the front or 1 red light and an E number on the screen such as E74. On the XBOX 360 Slim and Super Slim, you just get a single RED DOT but the problem is the same. Locking up & freezing during a game? If your XBOX has started locking up during gameplay or during loading a game, it's likely to be either the Hard Drive or the Optical drive causing the issue. Hard drives develop faults that can usually be fixed and the optical drive usually develops a fault within the laser. If you drop in the console we can test it for free and see which problem it is. XBOX not opening the tray? On some models of XBOX, the drive tray mechanism starts to wear causing the drive to stick closed. We can strip the drive and repair the fault. We offer a 1 YEAR WARRANTY on this repair. Over time the XBOX does get very dusty inside. We can strip down your XBOX and give the internals a good cleaning. We will also re-paste the CPU and GPU. On the original XBOX, we will also perform a cooling mod, where we duct the heatsink with aluminium and increase the start speed of the fans. Failed update or update issues? When the XBOX won't perform an update or something happens during the update process, we can check to see what is causing the issue and complete the update for you. Usually the XBOX shows an error on the screen to show there is an update issue. 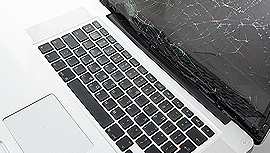 We can repair your laptop for an affordable price, even if the whole screen is smashed. Give us a call today for a free quote and find out just how affordable it will be. If your machine is showing popups or running slow you will most likely have viruses. We can check for free to see and only charge to remove them.